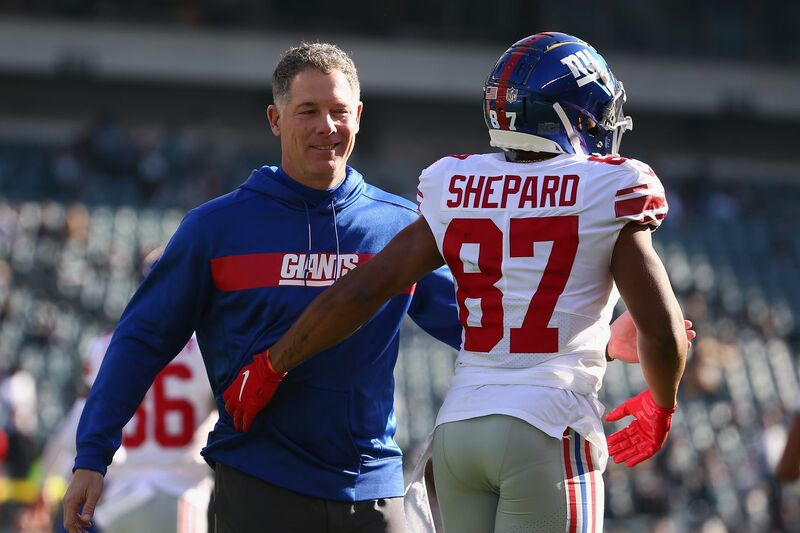 As the New York Giants announced his four-year contract extension, Sterling Shepard said he understands the deal he signed Friday comes with responsibilities as he is now the team’s longest-tenured wide receiver. “I’m ready,” he said in a statement released by the team. “With Odell going down the last two seasons (with injuries), that time definitely helped me get a grasp of what being a leader is all about, and being that lead guy in the room. I think it prepared me for this moment. I was pretty vocal anyway. I’m a pretty vocal guy. That will be no problem. The 26-year-old has a year remaining on his rookie contract, meaning he is now signed for the next five seasons. Odell Beckham Jr. is in Cleveland, but the rest of the Giants receivers room will look familiar. It will include Cody Latimer, Bennie Fowler, Corey Coleman, Jawill Davis, Alonzo Russell, Brittan Golden and Russell Shepard. The Giants begin Phase 1 of their offseason program on Monday.